When I met with Dr. Barbara Sturm a couple of months ago, the first thing I noticed was how truly glowing she was. Not a scrap of makeup on, her skin was insane. And honestly, after speaking with her, and learning about her regimes and her products, how incredible skin was was no longer such a mystery. 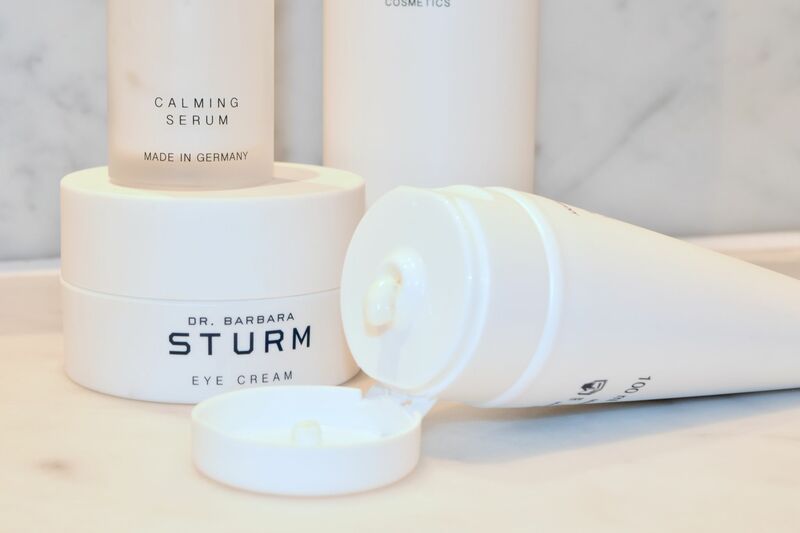 Over the past few months, I have fallen hard for Dr. Barbara Sturm skincare. Gentle, nourishing and calming, every product I’ve tried feels as if it was made for me, and happily, my Facial Scrub is no different. I can have a bit of a love/hate relationship with scrubs. I adore the way they make my skin feel – and I like the feeling of washing away all the ick and dead skin too. But, considering my skin is sensitive as well as prone to redness and dryness, I have to be super careful. 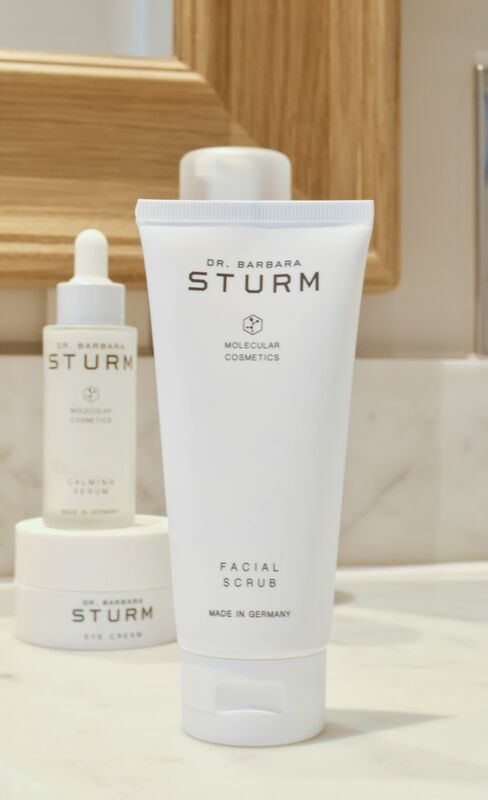 Sturm’s scrub is seriously gentle as well as effective – with a rich feel and rounded particles, it doesn’t scratch or irritate skin. It just lifts away dead skin and impurities, leaving you feeling soft and smooth. I follow up with a hydrating oil and I’m good to go. I’ve been loving the results, and use the scrub at least twice per week. OMG I have bought this and the face cream thanks to you!!!!!!! My credit card doesn’t like it but my skin will!!!!! !